Enterprise Equity | Former innovation awards finalists, how far have they progressed since ? Former innovation awards finalists, how far have they progressed since ? The 2012 finalist X-Bolt Orthopaedics produced a novel device for use in bone fixation in osteoporotic hip fractures. Traditional internal fixation uses bone screws that depend on the hold of the screw threads. The X-Bolt works in a similar fashion to a masonry or plasterboard rawl-plug bolt that expands to grip within the bone and thus gives a much stronger hold and rotational stability. 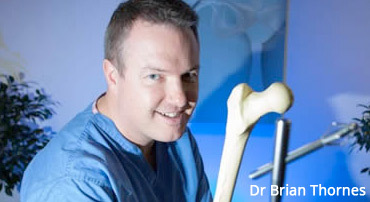 X-Bolt founder, orthopaedic surgeon Dr Brian Thornes, got the idea for the invention when he was installing a wall-mounted flat-screen TV in his home. Progress has been slow and steady since the awards, according to Thornes. Perhaps the clearest sign of success for a company in this sector is when the multinationals sit up and take notice. “A number of multinationals are starting to show signs of interest in the company and this may lead to one of them purchasing it at some stage in the future. Irish companies don’t really have the capacity to scale up and grow globally in this space.